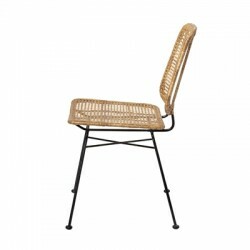 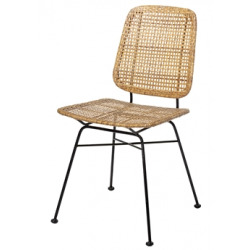 Natural rattan dining chair with black metal base. 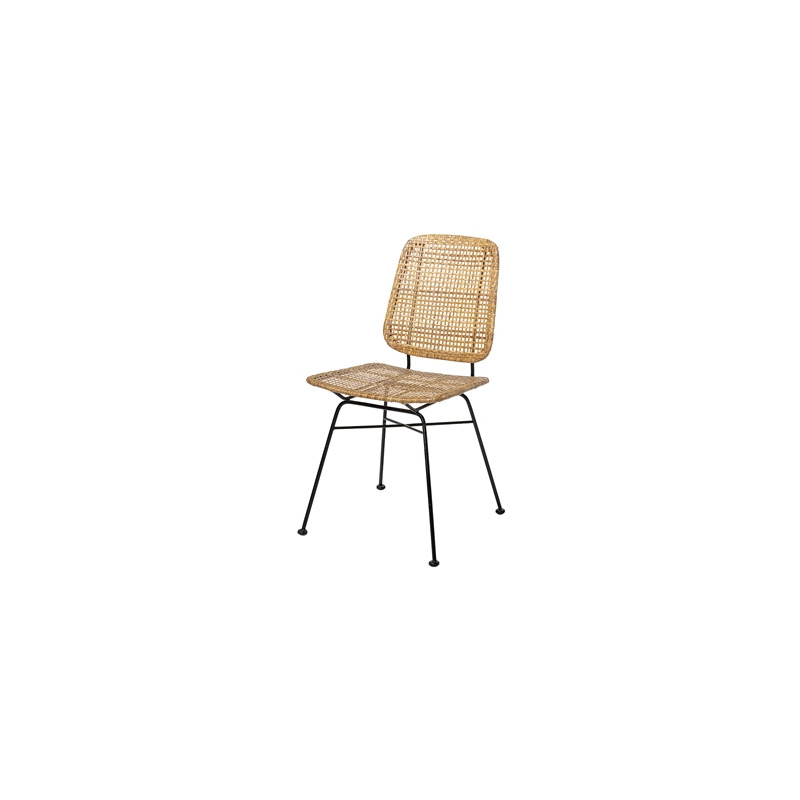 Hand woven in natural rattan the back and seat of the Bloomingville are attached to an elegant powder coated frame. 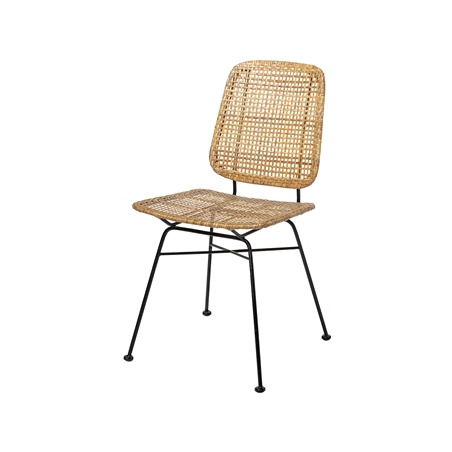 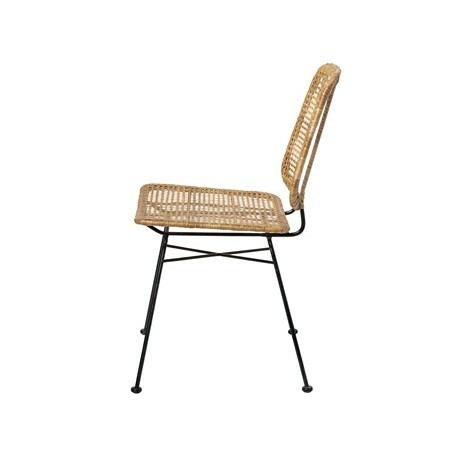 A simple classic design that works well using two contrasted materials, natural rattan and metal. 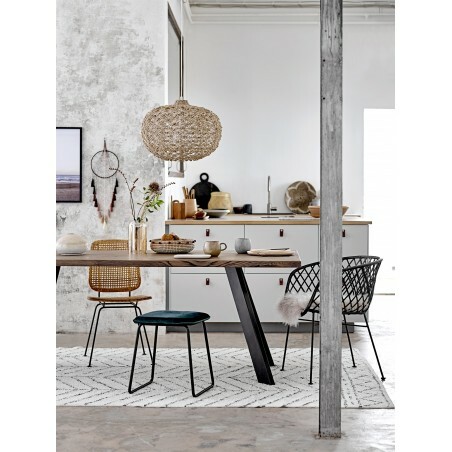 It will be a perfect addition to your modern kitchen or dining room.